Book Expo America is right around the corner! In an effort to get our team prepared for BEA (now that we have finally recovered from last year), I thought Avalon and I could share a few lessons learned as well as some tips for beginners to the event. So, we know you have already read Part One: Getting Started and have registered for your BEA passes, right? Awesome! So, now, passes in hand, you're probably wondering: What the heck do I bring with me to BEA? What's allowed on the floor? What can't I live without? Is it wrong to hire five big strong men to carry all of my books for me? 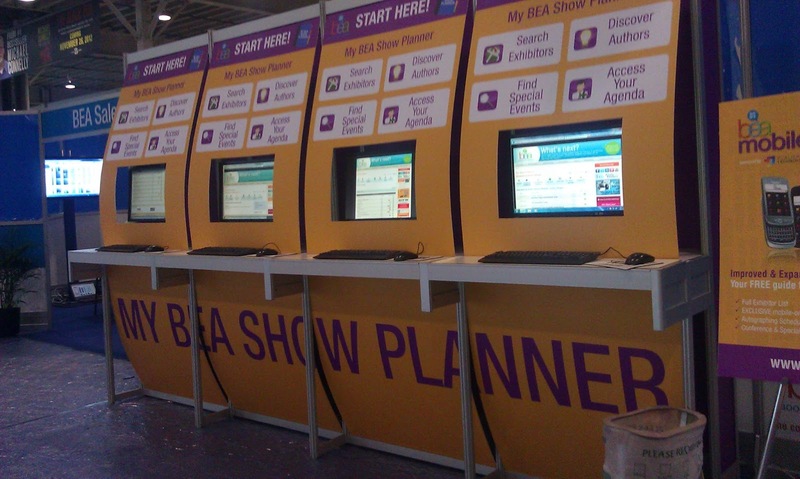 You can access your BEA Show Planner from these kiosks. With that in mind, however, you don't want to look like a total swamp rat either. It is a professional event. You, hopefully, will be meeting publicists, authors, and other industry professionals and you do want to make a good impression. B) You are going be in NYC, after all, and as much as you might want to spend your time in your hotel room pouring over your stacks of new books, you should probably get out and see the sights a little! On that note, you might want to pack some going out clothes. You might be surprised to learn that we are not 21 anymore (I know - shocking!- I promise we still act like we are, almost always) and it has been many a year since we have allowed our feet to hit the streets of NYC in a heel higher than 1". Michelle would like to add that Steph has also been known to make horribly uncomfortable shoe choices for NYC and has had to make pit stops into shoe stores to buy appropriate shoes at ridiculous prices on more than one occasion. Steph would like to say that Michelle has no photographic evidence of such shenenigan's and thusly cannot prove this slanderous allegation in court. Alright, so you might have heard that they give out a few free books at BEA. So, bring a large, empty rolling suitcase. Head to Baggage Check area. Check bag (Cash only and don't forget money for tip). Hold on to Bag Claim Ticket. Be nice to the ladies watching your bags, because they don't put up with guff and are quite efficient at what they do. Our advice is to store a few bottled waters (or beverage of choice), some power bars (or snack of choice) in your suitcase to avoid paying Javits prices and to avoid standing in that insane line at the aforementioned Starbuck's. SIDENOTE regarding tote bags: We were coveting the McGraw Hill tote bag because it was big and red and it zipped up. They were only handing them out every hour or so, so we had to actually work a tote bag drop into our schedule to get them. Well, be careful of what you wish for, because it never occurred to us that a tote might actually be too big! After filling this tote to the brim, our shoulders were completely dislocated. So...you get your tote bags (not too big, mind you) and fill them up. 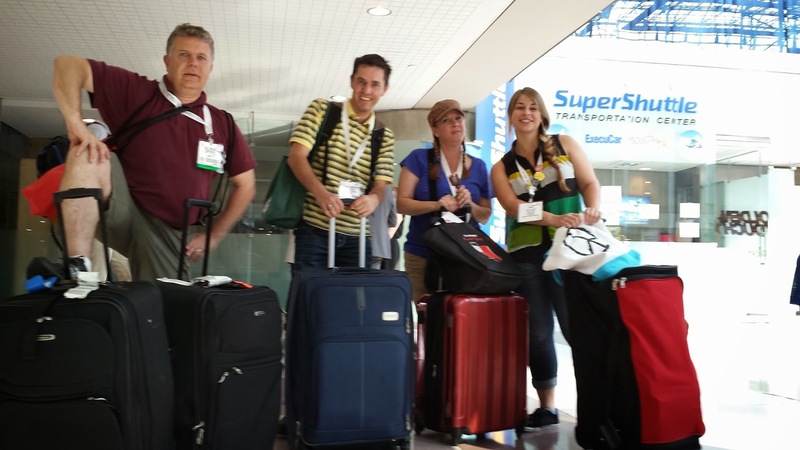 Then, periodically (when your shoulders can't take it anymore,) head down to the Baggage Check area to unload. Don't forget your Claim Ticket and be sure to check in with the ladies before you head behind the curtain to unload. All items have to fit within your bag (nothing on top). If you are with other people and only one person is making the run, make sure you give your Claim Ticket to that person. They are very serious business about letting you sneak stuff into other people's bags (which should make you feel very secure about your stuff being safe). We certainly had no issues with thievery and got in trouble on more than one occasion for sharing bags without all of the Claim Tickets. **It's worth noting that FedEx offers a shipping option right in the Javits just outside of the main floor. Apparently, you can start a box and continue to load your books throughout the day, then ship at the end of the day. We didn't do this last year and don't intend to this year, so we can't advise you on this option. Some people swear by it, however, and if you have money to burn, you might want to check it out for convenience sake. The Javits Center is a black hole of battery energy sucking for some reason. Our phones were constantly roaming (if we had any service at all, sometimes) which caused our cells to drain almost instantly. American Express did have some charging stations set up that we would use throughout the day (and take a little break from the action, also). You might want to invest in a portable phone charger to pack with you for some extra juice. 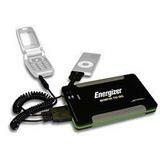 But, regardless, don't leave home without your phone charger! So, BEA is technically work and a business networking event (although it sure doesn't feel like work, it feel like a whole three days of awesome!). On that note, you are really missing out if you don't take the opportunity to meet fellow bloggers, and other industry professionals. Cards: Part of Networking 101 is letting people know who you are, what you're about and where to find you. This can easily be accomplished by a small, yet effective, old-fashioned device called a business card. 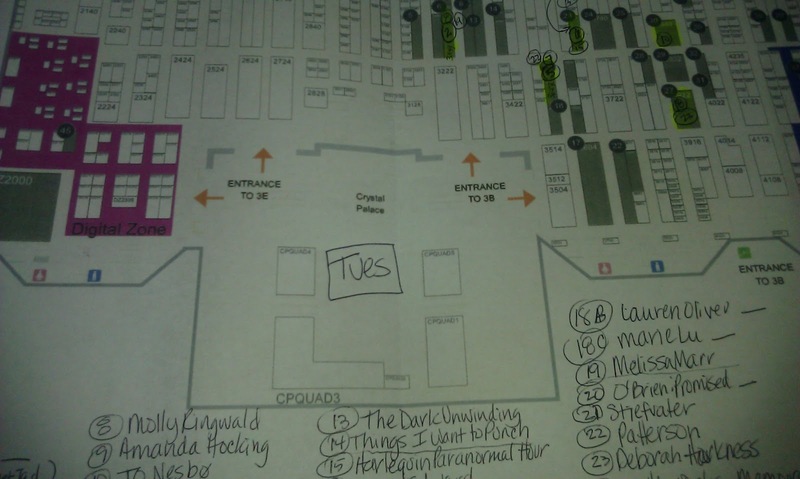 The first year, we used bookmarks (Ok, there was a shipping debacle that made us not have them for the first two days, long story but suffice it to say that we looked like amateur hot messes writing our web address on torn off pieces of our schedule, ugh.) Last year we used both bookmarks and business cards. Pen & Card Organizer: For as many cards as you will be handing out, you will also be receiving them. So, make sure you have figured out a storage and organizing system for all of these cards. You will be meeting a TON of people, so, it might help to make a few notes on the back of each card to keep all of your new friends straight. Something to hold your schedule: We will get to scheduling in Part Four: Scheduling and Scoop Sources. But the end result might be some sort of piece of paper that you have some crucial times scrawled on. You might need a thing to hold that scrap of paper. This color-coded bad boy had to go somewhere! It might seem like your BEA badge is the perfect place to shove stuff (like business cards, your Claim Ticket, money, etc.) Let us tell you, you might be wrong about that. One of our group lost her claim ticket last year (twice) and we almost lost money out of there. You have been warned. Don't forget to check out Steph's Stacks BEA 2015 page for the latest news and tips! Hope to see you there! If you want to meet up, feel free to let us know in the comments! "I don’t normally comment on anything online, like blogs, forums, or even Facebook-where my audience is limited to only my closest family and adopted family (aka: very dear friends)… But after reading several of your posts, around 6-8, I feel compelled to take a moment to thank you for your generosity in sharing SO many invaluable resources for a better way of living. I am a very frugal type person, likely because I was raised to live by the saying “waste not, want not”. And that phrase was applicable in all areas when I was young and even more so now (orphaned single mom to a 16yo daughter). After reading only one post of yours, I was blown away by how in depth, creative, resourceful, meritorious, and genuine you are. You have really gone above and beyond and have treated your audience as well as I would treat my family… You seem very “real” and sincere through your work, and that is something that I appreciate so much, it is a rare trait (or gift, imho). You are awesome and inspiring, and I pray you are blessed in this life! Thank you… So very much! First off: YES. Comfortable shoes. Every year someone says, "My shoes ARE comfortable." Shoes you sit around in the office all day are not the same as shoes you walk all day in. What is extremely comfortable in every day life is barely tolerable by the end of BEA. What is fairly comfy on a normal day is excruciating by the end of BEA. I wore sneakers inside and had cute sandals for outside BEA. Michelle and I are tote bag besties. I loved the DK bag so much that I actually went back for a second. Luckily the nice people laughed it off and said sure. I use this bag daily for work. It zipped (and I heard about a few wandering hands at BEA), it had a pocket to slip a water bottle in and it held a limited amount of books. I envied the big McGrawHill red bags until I realized I would inevitably load that mutha' up and kill myself. After my initial bookish blood-lust of day 1, I kept 2 totes on me. When they filled up, that was it. I didn't have the option to fill several totes. It kept me focused on how much I was grabbing. Portable chargers are a must. Even if your battery lasts all day at BEA, are you going to leave your phone in your hotel room to charge while you go out after BEA? Or, worse yet, sit in the hotel room WAITING for you phone to charge? Pfft. Heck no! I'm actually doing a vlog post in a few weeks dedicated to the bag I'm bringing inside to BEA and what I carry in it (snacks, cards, etc.). Can't wait for the rest of your posts! And thanks for the link! deluxe-HTTP [<- pi] opportunities for excitement BTW. Do it. Do the deed, Steph. Sign into the Big House. Nếu bạn là người mới và đang tìm một nhà cái uy tín dễ chơi hãy đăng ký cho mình 1 tài khoản M88 ngay hôm nay để trải nghiệm và hưởng các chương trình khuyến mại đang diễn ra cùng những kèo M88cvf hấp dẫn nhất hiện nay. Đặc biệt M88 Th quan tâm phát triển thị trường Châu Á nên người dân các nước Vietnam, campuchia, indonesia, thailand rất thích nhà cái này.